Sedimentologists are leading the re-appraisal of sediment routing systems, with an emphasis on source-to-sink configurations and functioning across a range of modern to deep timescales. Interdisciplinary approaches are necessary to integrate sediment production, transport, and deposition. Variations in sediment flux from source terrains to the morphological and stratigraphic evolution of depositional systems reflect allogenic controls and/or autogenic self-organization over a wide range of time scales. Preset day source-to-sink configurations are becoming increasingly well quantified due to the proliferation and analysis of big data. Moreover, much progress has also been made transforming these insights into the potential for predictive insights into deeper time, but this remains a major challenge that requires integration of field data, numerical models, and experimental results. Advances in understanding the links between erosion-dominated catchments, through the fragmented depositional record of transfer zones, to the depositional record archived in sedimentary basins, have been supported by technological advances that constrain the timing and rates of sediment fluxes. These permit examination of Earth surface change in response to external forcings. An emphasis on more complete sediment budgets, based on volume, and mass determination, instead of point location sedimentation rates, mitigates well-known issues related to stratigraphic incompleteness. Moreover, the increased number of integrated onshore-to-offshore records have facilitated a more complete understanding of source-to-sink configurations. 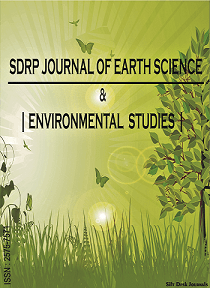 This Research Topic seeks to compile current interdisciplinary research into sediment dispersal systems from a process-based and quantitative source-to-sink perspective. We welcome contributions based on observation of field and remotely-sensed data as well as analogue and numerical modelling that cover a large range of autogenic and allogenic forcing mechanisms that operate on a range of time scales from individual events to the filling of sedimentary basins.